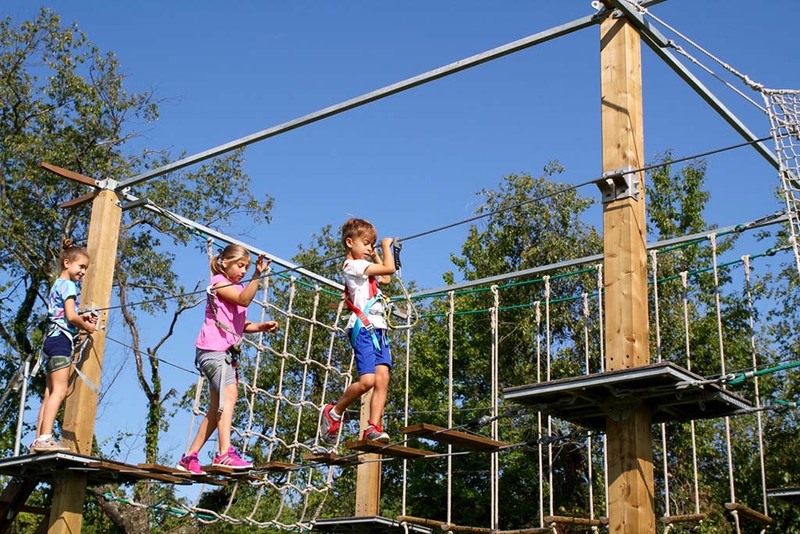 Take your experience at the farm to a new level with our Challenge Ropes Course! 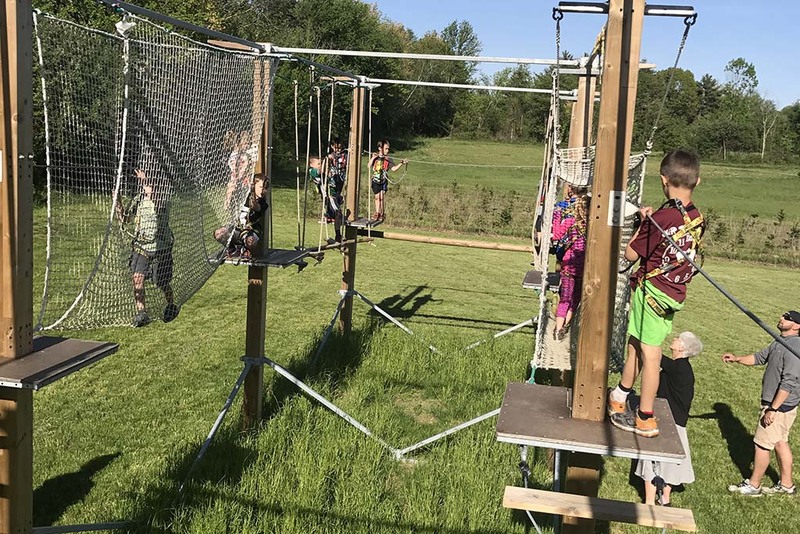 Designed for kids ages 5 – 12, our unique outdoor ropes course features a combination of eight games and challenges located a few feet off the ground. 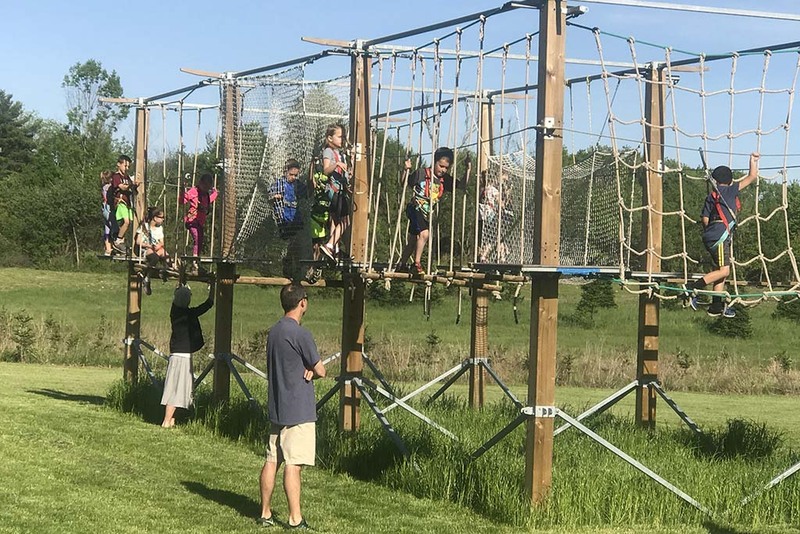 Wearing a secure safety harness, kids will experience a fun mini-adventure as they make their way across a wiggly balance beam, through a rope tunnel, across a net, along wobbly steps, and more. 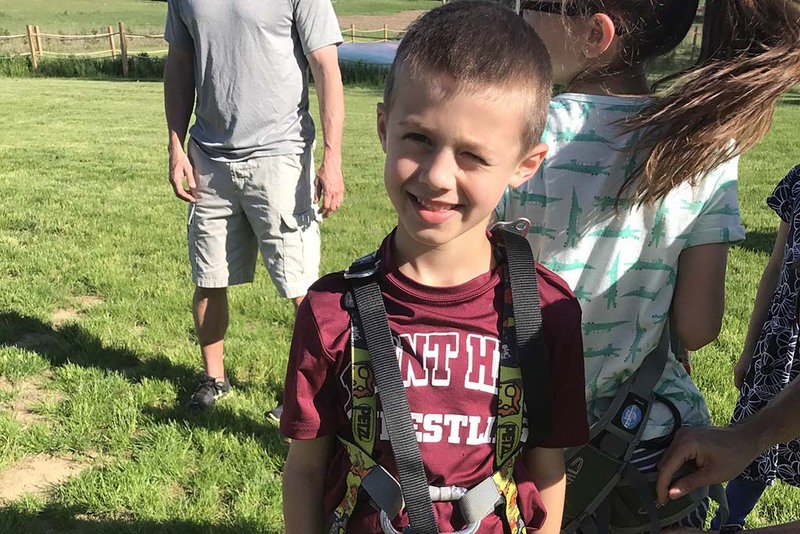 This physical and mental challenge is great for building confidence and is quickly becoming a favorite among kids on the farm – and among the proud parents looking on! 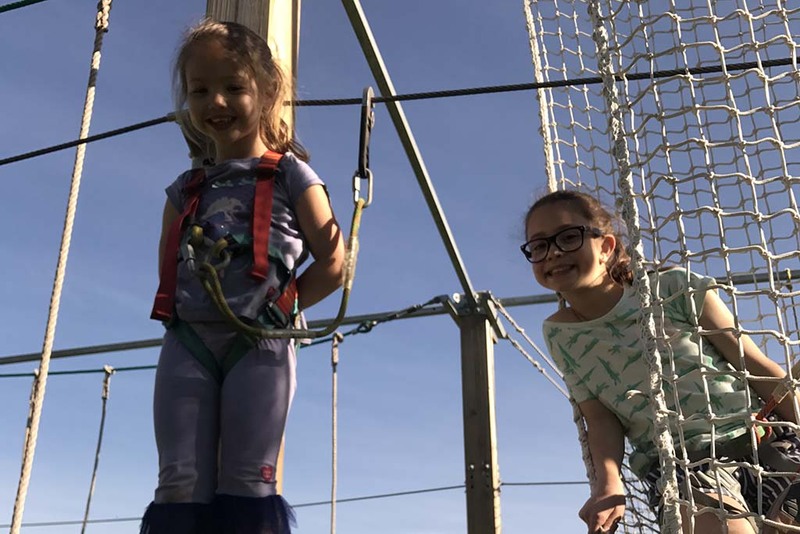 Give your kids the opportunity to explore new heights on this fall’s farm adventure. 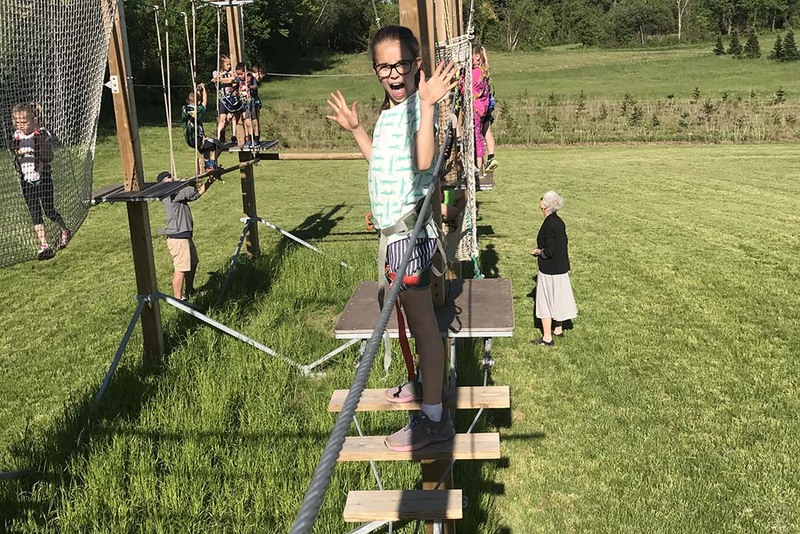 Be sure to check out the Challenge Ropes Course during your visit to Ellms Family Farm this year. Looking for other unique physical challenges on the farm? Be sure to check out our Jump Pads and Jumping Pillow and don’t miss our kids’ outdoor slides!